Beard combs are a great addition to any man’s morning or evening bathroom routine. They can really improve the look and feel of virtually any beard; many men never bother to tame the wild hairs that can spring forth from their facial hair and look worse for it. You can easily avoid this issue and look your best as long as you put a little effort forward. But there are so many beard combs to choose from! How can you tell which one to spend your time and money on? Let us help; we’ve put this guide together to take care of all the research and examination required to discern the good combs from the bad. We’ll look at the key aspects to focus on when finding a great beard comb, then explain all of our top picks to you one at a time. Finally, we’ll go into some tips to help you use your beard comb effectively. Let’s dive right in with a quick overview of our favorites. Before we get into the details of our top picks, remember to keep a few key things in mind as you browse and shop. These factors will help you find the best beard combs on the market and ensure that you buy the right one for your needs. Comb Teeth Size: Combs have varying kinds of teeth, and some are double-sided with each side containing teeth of a different proportion. This can allow the comb to work for more than one type of beard. In general, smaller teeth are going to work better for shorter beards. This is because comb teeth of this size can reach far enough to untangle all of the hairs of a short beard but will have trouble penetrating thicker beards all the way. For longer or thicket beards, you’ll want teeth of a larger size. In addition, smaller teeth are also much more brittle and easier to break than larger teeth because the thickness of the teeth directly relates to how tough they are. If you find that smaller teeth break too easily when your comb is in your pocket, try getting a comb with medium-sized teeth. These should work for just about every type of beard. Basically, just make sure that you get the comb with the right size teeth for your beard. Material: Most combs are made of some kind of wood; sandalwood is the most common variety. Wooden combs can feel really great to the touch and smell excellent, although there are some metal combs that will last longer. Some plastic combs are cheaper and easier to replace but they also tend to be the easiest to break by far. Think about what kind of comb you’d like to have and search for one with that material. This is largely a personal preference and doesn’t affect the actual performance of the comb very deeply. Combo Extras: Many combs come packaged with extra products or features, such as beard brushes or leather carrying cases. These are great things to look for since they add value to the purchase as a whole. Beard brushes are an excellent addition to any beard-care routine; you’ll want to use the comb and brush in tandem with one another to really get all of the kinks out of a thick, heavy beard. Most cases aren’t made from genuine leather but rather PU leather. 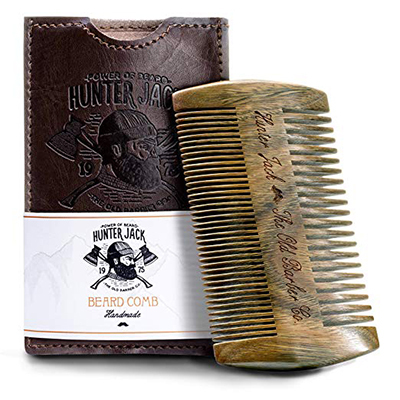 This still lends an element of class and style to your beard comb that you might find valuable. Size: Finally, look at the dimensions of a beard comb and make sure it’s the size you want. Most combs are small enough to fit into a pocket, but a few are so small they can go inside your wallet to consolidate your stuff and save space in your pockets. Bigger combs will obviously be a bit better for longer, thicker beards, but most combs can take care of most beards within a minute or so. Size is another personal preference that you should not worry about affecting a comb’s performance. 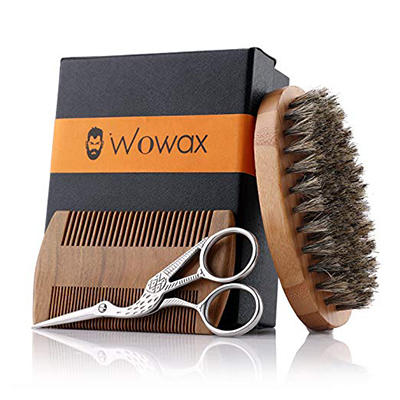 This is an excellent comb kit that’s well-made with smooth-finish sandalwood. The comb feels really smooth to the touch and is double-sided. One side is fitted with smaller teeth that are fit for beards with thinner hair or hair that’s more apt to tangle, while the other is fitted with more medium-sized teeth that are great for virtually any kind of beard. There’s a nice inscription on the side of the comb, although this might wear off relatively quickly since the inscription isn’t carved very deeply into the wood. The comb fits into a PU leather case that’s sized perfectly for most jean or pant pockets. 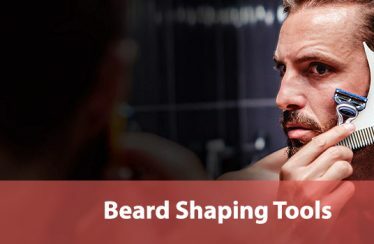 This makes it so that you don’t have to put the comb in your wallet if that’s already full.You also get a free eBook with your purchase about beard care. For a reasonable asking price, this combo kit is a great pick for moderate value and quality. It lacks a lot of special features, but we really like the old-fashioned, rustic look of the set. It’s ideal for men that don’t want to bother with a bunch of extra things with their beard comb. This kit comes with scissors and a beard brush; that makes it a fantastic kit if you have a thicker beard with a lot of hair that needs frequent combing or brushing down. Curly hair will appreciate the thickness of the bristles, which are made from boar hairs and won’t flatten very easily. The scissors have a small pair of blades that are only useful for trimming beard hairs. They’re sized well for most male fingers. The comb is made from bamboo instead of a traditional wood; this means the comb is lighter and more biodegradable than most comb wood types. However, this also means that the comb is a little easier to break and bend under a lot of pressure. This won’t be a big problem for most people, but it’s something to keep in mind if you tend to store your combs in your back pocket. This is a great kit that’s a fantastic price. You get three items for the price of entire combs elsewhere on the marketplace. 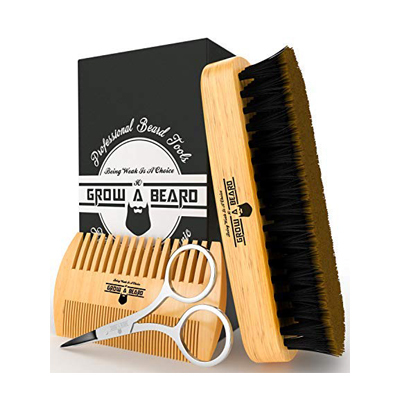 It’s a good starter kit and ideal if you’re beginning to learn how to effectively manage your beard hair, although you should be careful with the scissors if it’s your first time! 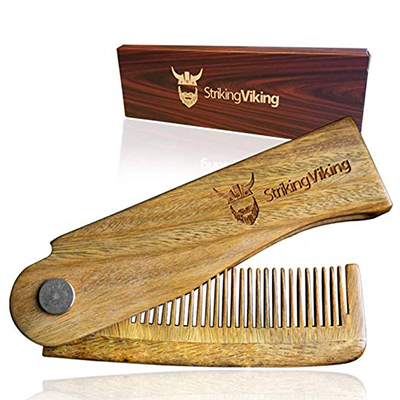 The Viking Revolution comb is just a single product that’s carved from one piece of pear wood. The color and feel of the comb are really appealing, as it’s bright and vibrant but looks classy at the same time. 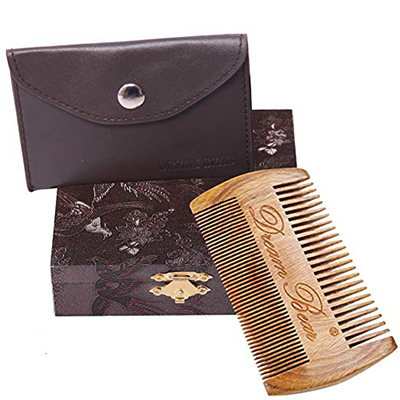 The comb can be carried in the black leather case that comes with the purchase. It fits easily into your wallet or your back pocket. The cost of the comb is astounding. For a very low price, you can grab a great comb that offers some excellent quality. The dual-sided construction lets it have small or medium teeth that are ideal for all types of beard. The lack of extra features like a brush or similar assistant tool is a little unfortunate, but overall the comb is of a high enough quality by itself to warrant its place on our list. The comb is a good pick if you want a replacement for another comb that you’ve recently broken or worn down. Since it’s so affordable, it’s an excellent pick if you want a nice balance between cost and quality. 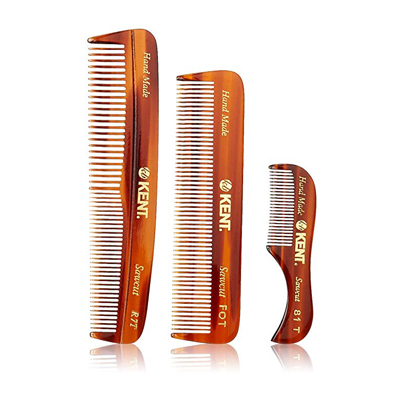 The Kent set is actually a 3-comb combination that has, between all the combs, every size of teeth you could need for your beard. Because of this, there are a few different types of people that might make use of this set, or you can alternatively purchase it for use by a group. If you have a wide, large beard that has hairs of varying lengths and thicknesses, you might be able to make use of two or three of the combs. You can also purchase this set for use by multiple people, such as you and your son. The smallest comb is actually very tiny and ideal for the smallest beards you can think of. The combs are all made from a plastic material mixed without petroleum. This helps the environment and the particular plastic material is very smooth and shiny; it feels excellent as it runs through your beard hair. It can even simulate the feeling of combing with natural oils without applying any. This comb is a single piece made from stainless steel. This is an interesting design choice and that’s reflected by how rare it is to find stainless steel combs. It offers a few key benefits that you won’t see from other types of beard combs. For one, it’s hypoallergenic, so it’s a metal comb that won’t irritate your skin if you have a nickel allergy. For another, because it’s made of steel instead of wood, it’ll last for quite a long time and won’t bend or break as easily as a traditional wood comb. Both of these factors can make it a great pick for men who have found that wooden combs haven’t lasted as long as they liked. The metal teeth of this comb will never fall off or snap. The comb is rather tough to sit on, so even though it’s wallet-sized you might find that storing it somewhere else is a better idea. However, with a thick enough wallet, you’ll be able to negate this flaw. It’s also double-sided and built with small and medium-sized teeth. 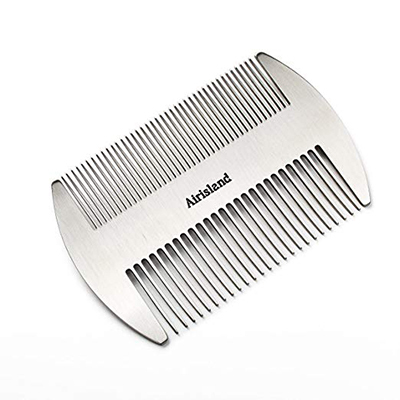 If you tend to like tougher, metal tools or just prefer the feel of metal over wood, consider the Airisland Comb. 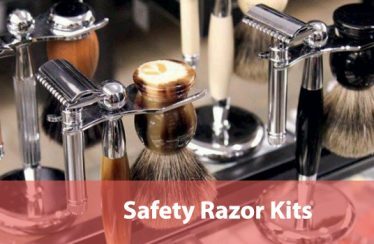 Here we’ve got another kit that’s perfect if you’re just starting out with building your beard hair hygiene kit. 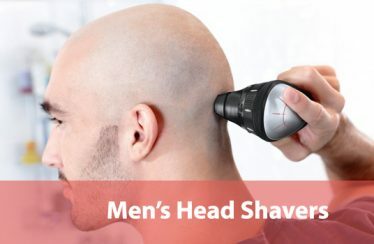 It comes with everything you need to maintain length and look: a comb, a brush, and scissors that are shaped with a slight curve that is ideal for trimming beard hairs. There’s a neat design right on the surface of the scissors, too, which we really love. It enhances the look of the kit. The comb is a dark brown color and the teeth are solid and sharp. It’s great for thicker or thinner beards since it’s double-sided, and once you’ve combed you can take the brush and go to work smoothing everything out. The bristles are made from boar hair and will retain their shape for a long time to come. For all of its value, it’s a little pricey and if you’re looking for just a comb, you’ll want to move on to something else. But if you want a great combo kit, this is one of the best picks you can make. 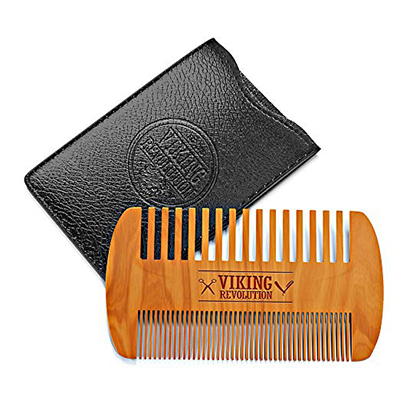 The Striking Viking comb is a great pick if you’re planning on traveling or if you want to keep a small comb for a short beard. It has small teeth only, so it’s ideal for beards only up to a certain length. Thicker beards won’t be affected by this comb, but that’s where its flaws end. It’s super small size and light weight made it easy to forget you’re even carrying it. You can store it practically anywhere and it folds into a small size when it’s not in use. This protects the teeth, extending it’s overall lifespan. This is a great design because smaller teeth are usually easier to snap from stress or bending. The price is a bit high for a single, small comb, but we think that the knife-like foldability and portability make it worth your while. It’s even a good pick if you have a primary comb to leave at home and you want a smaller comb to take with you on business trips. Finally, let’s take a look at a budget pick that’s cheap enough to dispel any doubts as to its value. It’s a simple comb made from green sandalwood; this type of wood will subtly change color as the humidity around it does too. This is a fun bit of trivia that we found interesting. The comb comes with a carrying case, though, so you might not always see this shift. The comb is double-sided with small and medium teeth. It’s not the toughest comb we’ve reviewed, but it’s strong enough given its very easy asking price. The engraving on the side is charming and classy; it’s a great gift for new beard growers or experienced combers. You can use the gift box that comes with the purchase to gift this, too. No matter what your intentions are, it’s an affordable comb that anyone can pick up and appreciate. So now you’ve got your new beard comb in hand and you’re ready to get started. But what if you haven’t used a beard comb before? Let us take you through some common tips and points of advice to make sure you’re using that thing correctly. Use a Beard Oil: First off, get a great beard oil to complement this whole process. In addition to making combing your beard more comfortable, a good beard oil will leave your beard healthier, promote growth at a steady rate, and reduce inflammation and dandruff that can accumulate, especially if you have dry skin. Beard oil is a great addition to any facial hair care routine, and we recommend using one with a comb. It’ll help you get rid of tangles, too. Comb Up First, Then Down: The reasoning behind this pattern is simple: by combing up first, you’ll straighten all of your beard hair and rid yourself of tangles before the final look. Once everything has been combed to the furthest extent upward and away from your face, apply the comb in sharp downward strokes to flatten your beard and make it contour to your facial structure. 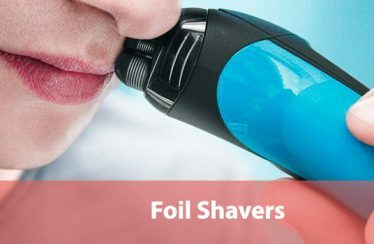 This should, in theory, eliminate tangles and make all of your facial hair straight and smooth. Don’t forget to comb your mustache too; even though it’s not as thick as the rest of your beard, it can get tangled or wiry if you let it sit for too long. Comb Daily: Make this routine a daily habit. This will train both you and your beard. Basically, the more that you comb your facial hair, the more reliably it will grow in the right direction and shape. This is an aspect that’s followed with most types of hair on humans. You’ll also learn to appreciate and get better at combing your beard, and the process will take less time as you become more proficient. Over time, you can experiment with styles or changes in your appearance more smoothly than if you were unpracticed. Have Patience: Don’t rush it, either! Sometimes combing your beard can take a few minutes. 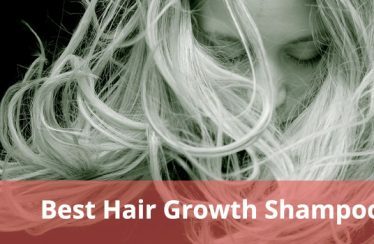 While this can be frustrating if you’re not used to the additional time added to your morning routine, you’ll appreciate the results of your combing session a lot more if you do a good job and can see yourself getting better over time. There you have it: our guide to the best beard combs on the market. While there are so many to choose from, hopefully, we’ve given you all the tools and information you need to pick the gems out from the endless supply of subpar combs. Thanks for reading!